The Tile Studio, Inc. is an eclectic showroom of tile and natural stone offering a vast array of color, texture, and different styles. We can inspire and help you create the look you desire by offering our knowledge and design expertise. The Tile Studio was extremely helpful during our recent renovation, including design suggestions and sourcing many tile options from their inventory as well as from additional sources. Haley was especially competent and patient in helping us create a custom painted tile backsplash. It was an unusual and complicated project, and she was precise and tireless in dealing with the artist’s studio to be certain that every detail of the backsplash met our expectations. Highly recommended! As a designer, I have used Tile Studio for many years now and love bringing clients into the showroom. 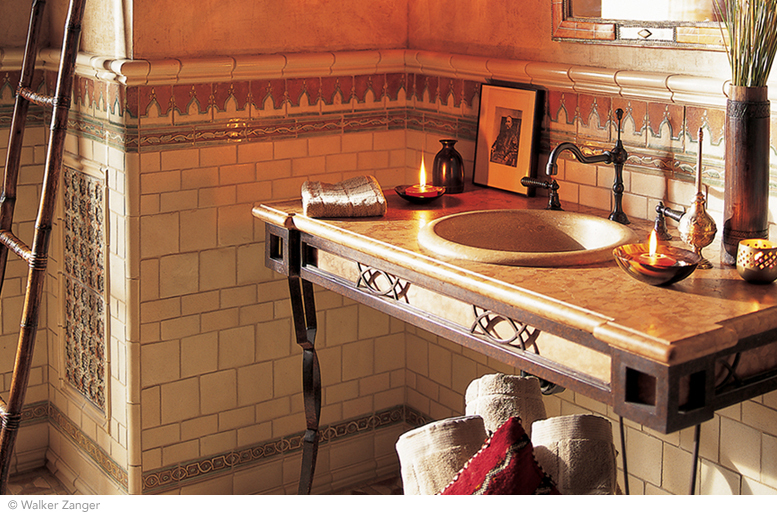 Tile Studio has an array of styles from Contemporary to old world meeting whatever needs the client is looking for. The TS staff is very knowledgeable and helpful, I’m able to obtain pricing when asked and any samples I may need to design the specific project. The Tile Studio has been my trusted resource for several years. They offer the types of tile and trim I need to complete my projects on time and on budget. The staff bends over backwards to supply me with samples and the information I need to do my job. My clients and I are always treated with respect regardless of the size of the project we are working on, large or small—-they are there to help. I was so appreciative when they sent samples to Arizona for a project there so I didn’t have to carry the extra weight on the airplane. Totally above and beyond!!! !